The idea of “hope” was brought to life quite literally when Project C.U.R.E. and Haiti Air Ambulance (HAA) came together recently. It was delivered in the form of life-saving medical supplies from Project C.U.R.E. and brought to HAA’s base in Port au Prince, Haiti. Haiti, a country of more than 10 million people, is rapidly developing. But the roadways and topography can challenge even the best supply chains. Project C.U.R.E. took to task by assisting HAA in providing world-class healthcare throughout the country by securing supplies HAA could use on missions. For 30 years, Project C.U.R.E. (Commission on Urgent Relief and Equipment), a Colorado based 501(c)(3) nonprofit, has been procuring and distributing medical supplies and services to meet the vital needs of the world. Project C.U.R.E. was founded to help facilities, doctors and nurses in need with the tools necessary to treat disease, deliver vaccines, perform lifesaving surgeries and ensure safe childbirth. Since its founding, Project C.U.R.E. has reached patients, families and children in more than 130 countries, making them the world’s largest distributor of donated medical supplies to resource-limited communities. With the help of nationwide volunteers, three to four cargo containers of life-saving aid leave Project C.U.R.E.’s warehouses each week, delivering health and hope to the world. 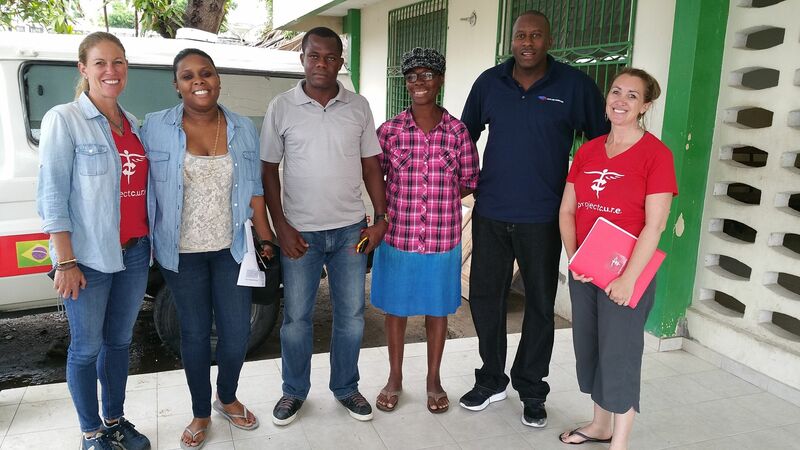 This past spring, the two organizations joined forces in the field, evaluating 15 hospitals in Haiti’s southern departments of Grand Anse and Department Sud together with the Ministry of Health and MSH. The initiative was to build valuable data points on the services these facilities provide. Despite washed out roads, lost bridges and compromised conditions that were the result of Hurricane Mathew’s impact more than seven months earlier, the team was able to develop a needs assessment for these remote locations. From here, Project C.U.R.E will use the data to develop customized packing lists of the most needed supplies for each facility. Haiti Air Ambulance is a nonprofit organization dedicated to providing emergency helicopter services to the people of Haiti. HAA flies critically ill or injured patients to emergency medical care providers throughout the country. The vital supplies received from Project C.U.R.E. were put to use in the field by the Haiti Air Ambulance team immediately, helping to save lives in Haiti. For more information regarding Project C.U.R.E.’s various kits, distribution centers or their mission, visit projectcure.org.